RickBoyne.com: That's a BIG ROCK! 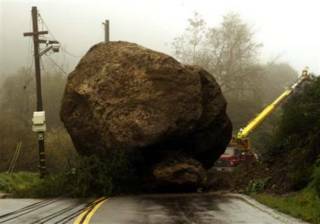 This 25 Ft high boulder fell on the Topanga Canyon Road in So. California during the recent mud slides. That would definitely make the commute to work "interesting".